Calling all Girl Scouts and families to go on an Animal Adventure! Additional activities: campfire/smores, gaga ball, traverse climbing wall, fishing, swimming at Camp Blue Diamond, archery, canoeing, fun with friends! Check-in begins at 9:00 a.m. on Friday, June 24. Full program begins at 10:00 a.m. Friday with an opening flag ceremony and concludes by noon on Sunday, June 26, with closing flag ceremony at 11:00 a.m. Registered Girl Scouts and GSHPA-registered adult volunteers will receive a t-shirt. All attending girls and siblings will receive a participation patch. Girls attending full program (Fri. and Sat.) will complete animal badge/journey requirements (may do next level up if bridging – e.g., girls who’ve just completed 3rd grade can get Junior badge). Girls attending only 1 day (Fri or Sat) will complete some of the badge/journey activities and may finish on their own or with their troops at a later time. Cost includes the following meals, plus snacks: Friday dinner, Saturday breakfast/lunch/dinner, Sunday breakfast. Participants must bring a bagged lunch for Friday. Camp organizers must be notified of any dietary restrictions/allergies no later than June 10. Troops must provide enough adults to meet safety ratios; troops may combine to meet adult/girl ratios. Girls registering as individuals must be accompanied by a registered parent/guardian. One female adult may stay in unit with Girl Scout daughter. Other parents and non-Girl-Scout member siblings may stay over in tents. (Men/boys need separate sleeping quarters unless only related family members are staying together in a single unit; families may choose to stay together in tents). All adults not staying overnight and all accompanying siblings under age 18 must register in advance for camp so that appropriate insurance may be procured. Accompanying children must be supervised by a parent at all times; they may participate in group activities on space-available basis if age-appropriate. Anyone not following camp policies will be asked to leave without refund. Girls 5-17 for weekend: $75; one day (Fri or Sat) $30 . All girls age 5+ must have active 2015-16 GSHPA membership. Financial assistance may be available through GSHPA; indicate during registration that assistance is being requested. Troop volunteers and parent/guardian volunteers: $20 for weekend, $10 for one day (Fri or Sat). Volunteers must have active 2015-16 GSHPA membership and GSHPA/state clearances. Financial assistance may be available through GSHPA; indicate during registration that assistance is being requested. All volunteers will be asked to staff activities for a set period of time each day; volunteers will be contacted after registration closes regarding assignment needs/preferences. Additional adult family members: $40/weekend; $20 one day (Fri or Sat). If staying overnight and supervising own children only, must have GSHPA/state clearances and be added to insurance policy (don’t necessarily need GSHPA membership). If attending daytime only and supervising own children only, must be added to insurance policy (don’t necessarily need GSHPA membership or clearances). Boy siblings age 5+ (since girls need to register as GSHPA members): $25/weekend, $15/day. Must be added to insurance policy. Boy/girl siblings age 4 and under: $10/weekend, $5/day. Must be added to insurance policy. Per Council policy, all girls age 5-17 must have 2015-16 GSHPA membership. All adults with chaperone responsibilities (supervising children not their own, or providing appropriate adult ratios, whether staying overnight or not) must have 2015-16 GSHPA membership and completed GSHPA/state clearances. All adults staying overnight who are supervising their own children only must have completed GSHPA/state clearances but do not necessarily need GSHPA membership. All adults and children (boys of any age, girls age 4 and under) who are not 2015-16 GSHPA members must be added to insurance policy, and thus require advance registration. To register, please complete an online form for each individual attending no later than May 15, 2016. Payment via check payable to “GSHPA A-6 Camp” (or verification of financial assistance application) must be received by May 18. 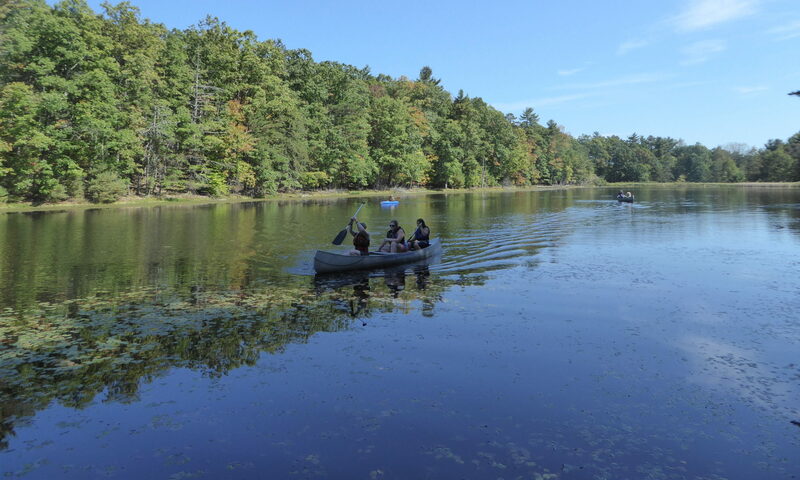 In addition, all children will need permission forms and health forms signed by a parent/guardian submitted before or at camp, and all adults will need health forms submitted before or at camp. Campers will receive separate emails prior to camp with confirmation and information on activities, packing, and directions to camp.